When I was a young boy the world I found myself in was a strange and confusing place. Family violence of beatings and screaming, social racism and isolation molded my flimsy protective shield and amour. Growing up in the early 1960’s America as a first-generation Filipino American, I had to wade through the stagnant waters of old world values of a very strict Spanish Catholic Filipino culture from across the vast Pacific Ocean, and a racist American environment that was filled with bigotry and smiling faces that masked hatred and lies…very confusing for a young boy. I was an undiagnosed child on the autism spectrum born in the late 1950’s (I was later found to be on autism spectrum in 2010). Small, sickly, flat-footed, stuttering and beaten into silence, I floated in my autistic mind that had also been damaged by Traumatic Brain Injury (TBI) by my father’s physical beatings. Ridiculed by family and strangers alike I fled into a dark depression where I withered on the vine. With my parents finally divorcing after many violent years, my mother’s many suicide attempts taught me incorrectly on how to deal with adversity. It was with this emotional foundation that I grew into my adolescent years without a positive father figure, a mother’s damaged mentorship, and a bewildered mind and banged-up autistic brain, with added early behaviors of Post Traumatic Stress Disorders (PTSD). The fact I grew into manhood and successfully survived my childhood of confusion, depression and darkness awed the many autism spectrum and non-autism spectrum students and their parents I had the privilege and honor to mentor for the last 25 years. 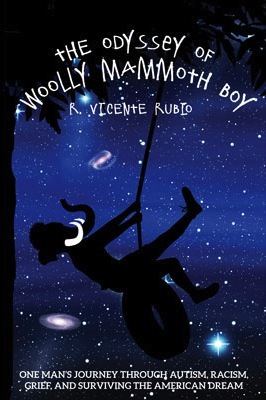 Their questions and desires to hear my story led me to write my second book, an autobiographical account which was published on March 2014, “The Odyssey of Woolly Mammoth Boy - One Man’s Journey through Autism, Racism, Grief and Surviving the American Dream”. So how did I do it? How did I live to tell my tale and inspire others? When I was invited to write an article for this publication, I looked at the social environment and many issues that face today’s youths whom I had mentored to prevail through and to find success and meaning in, regardless of being autistic or not. I did not have to look very far into our current fast paced, over-stimulated culture with a self-absorbed mentality, to see the devastation that it has wrecked and dismantled the many time honored family values, personal health awareness and responsible environmental wisdom. What disturbed me the most though was the tragic spate of school and college shooting since the 1990’s, and the seemingly tragic lives of the young people who were the shooters. The most recent tragic shooting on the campus of the University of California at Santa Barbara, was carried out by a young man who had been diagnosed with Asperger’s Syndrome, a high functioning autism, as told by his mother in a newspaper interview. I remember seeing a picture of this young man and easily saw myself. He was of a mixed race marriage, and his fine Asian features and delicate beautiful eyes stared right into my soul. That his tormented story he had told on his Facebook page spoke of social isolation, ridicule, shunned by females that he was interested in, and the pent-up anger and ideas of retribution spoke clearly of my own anger of the injustice I too had felt as a teenager growing up in the 1960’s and 70’s. Though I am not insinuating that individuals on the autism spectrum are prone to play out their anger through acts of violence, I do recognize from my observations of myself, and through the years as a mentor to young people on the autism spectrum, that the language and visions of our anger and violence are present in some of us. Though fantastical and imaginative in our description of the justice we wish upon our abusers, most of us do not play out our anger rage upon others. We aim our terrible rage upon our selves and our loved ones. Yet, I cannot deny that we on the autism spectrum do lack at times the ability to restrain our actions and curtail our tempers. So, the questions I pondered with UC Santa Barbara Campus shooting were again, like the Virginia Tech and other school shootings, was what were the early signs in these young men to act out their violent behaviors? Why did all the shooters show a history of social isolation, depression, fascination to violent retribution, and a disconnection from their family? And, what was the tipping point that drove them to their tragic and violent end? Looking into my own behavior though my social life of trying to be accepted by my peers, and the many failed intimate relationships I realized I was painfully confused and misunderstood. I would hurt and destroy the ones I loved the most with the rigid thinking of ‘my way or the highway’, terrible angry and abusive verbal demonstrations of lost of control, and the destruction of objects around me. This was always accompanied by self-abusive behavior, shame, and suicidal thoughts of my own demise. It is said the grief is the flipside of unexpressed anger, and I surely had a abundance of unexpressed anger from a life of being ridiculed, and abused from the ones closest to me, that being my family, and the bigoted and cruel world of the racist society I was forced to live in. And, like all trauma of pain, shame and grief that are buried deep into our hearts and unresolved, the unhealed wounds are scabbed over to fester into thoughts dark depression, sadness and helplessness that are then embedded into our psyche that taint our perspective of our potential strength to heal from such trauma, and to blend with the chaotic social world around us. Fortunately, I grew up in a time in our history where the access to a world untouched by computers and the unchecked social media madness that came with it, was still prevalent. I was spared the over-stimulation and self-indulgent freedom to hide and disappear behind the falsehood of cyber technology of gaming and social interaction. My teenaged life was defined by independence and self-survival, for I ran away from home at 15, and worked my way through high school and successfully graduated by doing odd jobs, night dishwashing jobs and door-to-door sales. I paid for my own car, car insurance and took care of my financial responsibilities. I did things that most young people today, autistic or not, have no inclination about or desire for. With this said, I had intuitively sought to better myself for my own survival because no one was going to do anything for me. I kept my depression at bay by being proactive in my life in the best way I could through the means I had taught myself and learned the hard way of sweat and toil. To address all my toxic social behaviors, the dark demons of my soul, and the disabling effects of depression and anger, I began to search for ways to find myself and evolve from the mire and stagnation that held me down. No one was helping me. I wanted to live, and I wanted to love and be loved. What immediately stood out for me was a lack of connection to my own body and the vital grounding connection to the physical world me. So when depression and darkness appeared in my life, there was no way for me to ground – to peg down- and discharge the energetic chaos that went straight up into my head. Most of the kids on the autism spectrum I have mentored showed this disconnected, spacey, and out-of-touch relationship to the physical world around them. Our violent and angry outbursts came from a place where we felt unsafe and misunderstood, or not getting stimulated and satisfied right there and then. Our autistic brains have been recently been found to have too many synapses that were not naturally ‘pruned’ by our bodies as we grew (NY Times article, ‘Study Finds That Brains With Autism Fail to Trim Synapses as They Develop’- August 21, 2014). We on the autism spectrum are over stimulated by the world around us all the time: the physical world of smells, light, tactile and sounds could be terribly painful and overwhelming. Our ability to take ‘hits’ from the emotional social world confounds us for we lack the tools to play along with others, and also to agree to tell the emperor that he is wearing clothes when he is clearly not! My journey towards personal enlightenment to living on this planet safely and harmoniously began from my study of myself from the inside out and from the ground up. In my early twenties, as a starving student of dance in the 1980’s in New York City and no way to pay for medical assistance or care, I immersed in the reading of books on acupuncture/ acupressure, body alignment and kinesiology for the healing of my numerous dance injuries; the realigning and healing of my body’s energy with the color spectrum and sound; the studying positive visualization, and the power of language and positive affirmations through the study of Neuro-Linguistic Programming (NLP). I needed to take care of myself and be self-sufficient. It was the beginning for me to comprehend the power of how to controll my mind to heal myself, and guide me to afford myself the moment to pause, rather than to respond with my normally damaging knee-jerk reactions to my every moment stresses from the over-stimulations from the crazy world of New York City in which I lived in at the time. New York City was the perfect training ground to learn or die. This self-initiated training of health was the basis of my mind/body model I developed called BodyKi, or BodyBreath, in 1985. In the process of becoming a professionally trained dancer, I had learned how to stand on my own two feet from a strong physical core/center, and to use the earth to leap from and to stay connected to in order to execute multiply turns or pirouettes. For a spinning top will lose balance as it loses connection or adherence to the surface in which it spins upon. I had learned how to present myself with confidence while performing on stage. I was trained to enter a room full of strangers with such pronounced body awareness and presence to where I would be able to, ‘own the whole room’. 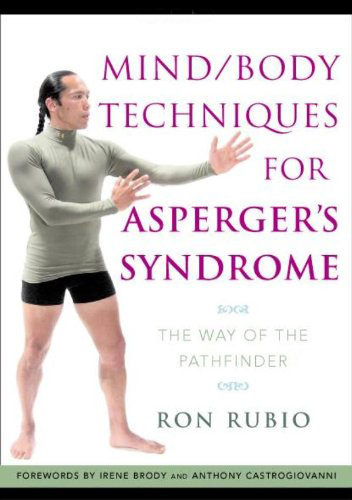 I took to my dance studies in the true autistic characteristic of complete absorbed obsession and single-minded focus that could not be deterred by the frivolous chore of the essential act of eating and sustaining myself. My social skills were enhanced by understanding the body language and facial masks that were presented in my theater studies, role-playing exercises, and the studying and mimicking my peers in their attempts in their relationships. Though pasted on and robotically practiced, I refined these social skills through the years. Later, my deep study and training in the martial art aikido married my body to a vibrant spirit of focused intention to my every physical action, and honoring the preciousness of the each moment in which I lived. For the martial arts taught me, for I had also studied boxing, capoeria and close combat training; that the essence of the present moment resides in the moment of taking breath. An insightful martial art teaching mantra goes something like this: “One breath, one sword cut, one moment to live or die.” This mantra implies that the moment to live is in the present and not the past or the future. In my mentoring young people the first lesson I offer is this concept. For our fears, defeats, traumas, sadness, shame, guilt, grief, what we could have done or could have said, all lies in our past and not in our present moments. If we project these detrimental past thoughts into our future, by the language we use and the visions we see in our minds, we are then surely doomed to fail. And, as challenging it is to detach and release such emotional and physical thinking luggage, the act of accepting this positive and purifying notion of living in the present moment of our lives and not in our past, is a key to enlightenment and healing. For it is only in the present moment, the joyous moment of the now, that we can change. Not tomorrow nor yesterday…only in the present moment can we truly make life affirming change. That we will always be autistic, or might outgrow some autistic behaviors through positive consistent cognitive and behavioral training, the reality I have observed in myself, and those I have mentored, is that the beginning of the path towards enlightenment begins with the idea we all have the power to change and not be what we once were. This concept also gives rise to a sense of spiritual connection to something greater than our ‘chattering fearful minds’ of our past defeats and traumas. For it is our undisciplined minds that can lead us to repeat the toxic behaviors that in the past destroyed the harmony to ourselves and to those in our lives. My strongest teachings I mentor lie in two fundamental premises. First, Breath is the foundation of life as the human mortals we are. To not breathe is to succumb to death. It is hard to live in an anaerobic environment (without oxygen) for the oxygen-based organisms that we are. One would be surprised how many people do not breathe when under stress or in deep thought. And secondly, movement disrupts stagnation. Stagnation of the mind, body or spirit leads to darkness and depression. For without movement all turns to muck and mud in the mind and body. It is said that the only things that are stagnant are things that are dead and without life. To move is to create positive energy, generate healing heat, and to raise the vibration in ourselves, and those around us. It is a known fact that cancer cells cannot live in an aerobic environment, where high vibration is present and heat. That is why laughter is one powerful medicine in battling cancer. My path to spiritual and mindful enlightenment also included me finally facing the physical toxicity that held my brain/body hostage to the devastating anger rages, a deadly destructive polarized thinking, sleep depravation, gastro-intestinal challenges, intense skin rashes and eczema, crippling compound headaches (women suffer migraine headaches), and muscle weakness. I slowly, and with difficulty, detached myself from heavy sugar and salt intake, dairy, glutens, and foods the created an acidic intestinal environment. I got myself tested for heavy metals (I was found to be high in cadmium and aluminum). I drank more clean water, and added leafy greens and fresh fruits to alkaline my system. I had early on in my life flushed toxicity my skin by taking hot showers and finishing with a ice coldwater rinse…brrrr! Yet, refreshing, detoxifying and invigorating! In time, many of my detrimental physical symptoms disappeared, and my devastating mood swings, my spacey head, and black and white thinking became more manageable. In conclusion, we on the autism spectrum, those who suffer from PTSD and TBI, and all humans who contend with depression and darkness, are best served to remember that we are not alone in our lives and our despair, and that we are not the first to ever experience such dilemmas. We have the power to change for the better when we are courageous and brave to face the demons that have power only in our past and not in our present moments. Change is never easy and life constantly swings from highs to lows…it is the nature of all life around us. To learn ways to find moderation in our lives is most beneficial, and to release the polarized thinking of our past behaviors. I am not immune to depression and darkness...I am not perfect in my enlightenment. It is said in the world of biology that there does not exist the ‘all and perfect’ world. In the biological world there is that ‘most things are…’ and not, ‘all things are’. This allows me to be compassionate to myself when I am ‘not perfect’, for we all know that we on the autism spectrum sometimes love to be perfect and always right! I know now healthy and safe tools, and proactive strategies to help me and support me while I get over my everyday bumpy and hard times. For, when we continue to see who we are as the whole and complete entities we were born as, regardless of what is said of us by the diagnoses and evaluations of what we may lack, we remain the whole complete living entity. And this leads us to a place where we are allowed to be open to creatively discover healthy, long lasting, and safe approaches to living a vibrant life that fulfills us, and those in our lives. So, please breathe deeply, take the time to pause before action, be compassionate to yourself so you can be compassionate to others, and fill yourself with light, power, joy and laughter!